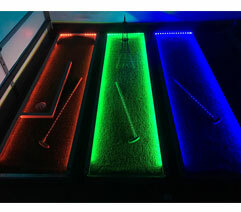 Welcome to ALL IN 1 FUN! Call Us For A Whole New World Of Fun! 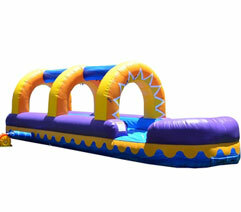 All In 1 Fun is the premier inflatable bounce house and water slide company in the Quad City area. 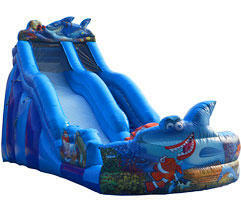 We are Davenport Iowa's fastest growing inflatable company. 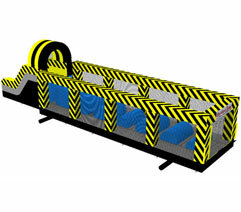 Our Bounce Houses are top quality and the safest in the industry exceeding all safety standards. 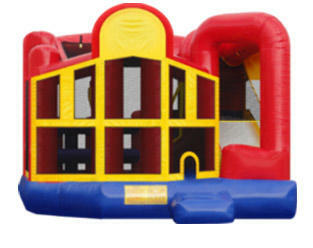 We clean and sanitize our Bounce Houses after each event to insure the safest environment for your children! 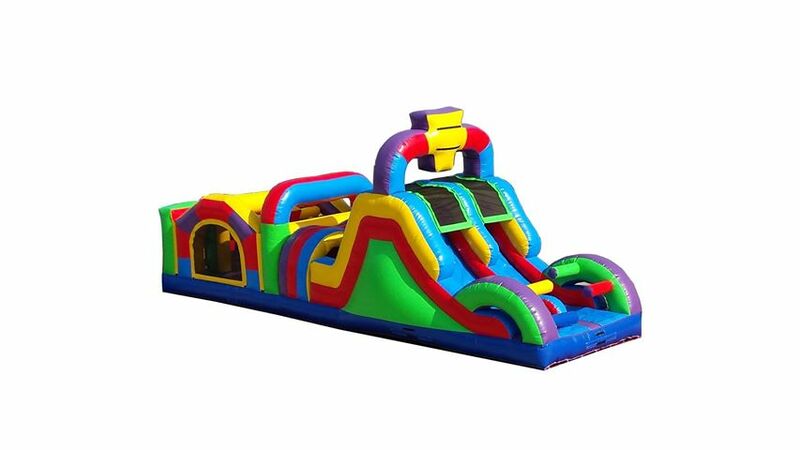 We have all of the rental equipment needed for your school carnival, company picnic, kids birthday parties, girls birthday parties, boys birthday parties, corporate events, church events, and any other special event. 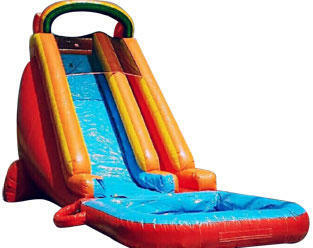 Our huge inventory consists of bounce houses, combo jump houses, obstacle courses, water slides, bungee runs, dunk tanks, mechanical games, carnival games, cotton candy machines, and snow cone machines to name a few. We are state inspected and insured. 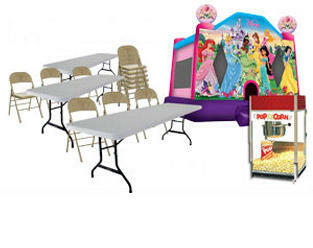 Our prices are more than competitive and we make renting easy by being your one stop party shop. Serving the Davenport IA, Bettendorf IA, Rock Island IL, Moline IL, East Moline IL, Clinton IA, Iowa City IA and the surrounding areas. 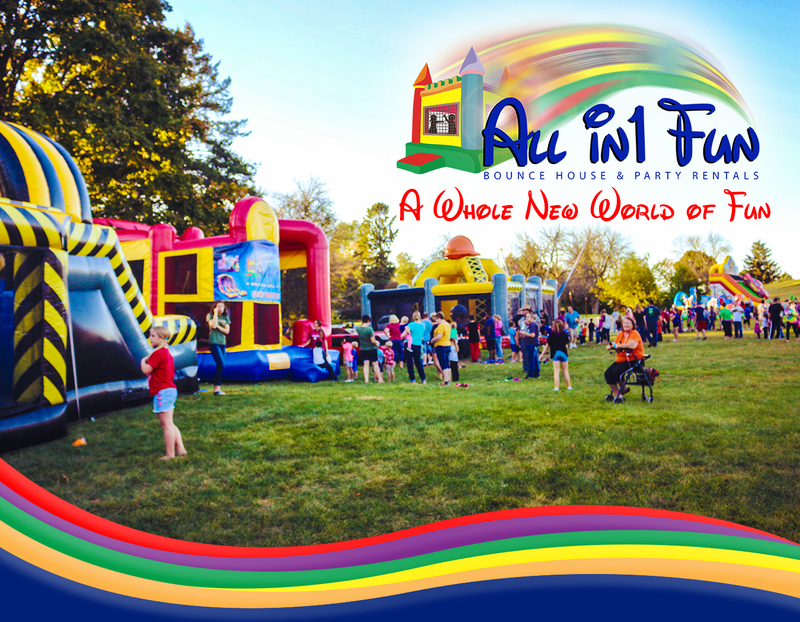 We want you to have the best events and festivals available in the Quad cities, so Allin1Fun.net is ready to assist our city, big event and corporate customers with the best resources, planning, and professional experience you'll need for a successful event. So whether it's a large city festival or major corporate event, we're ready to do the heavy lifting, and provide you with ideas and money saving packages ahead of the 2018 event season. 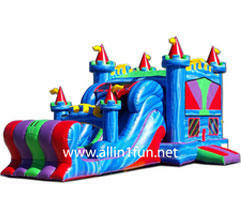 Bounce Houses are the nation's number one event attraction and Allin1Fun.net has the best selection in the Quad Cites area. 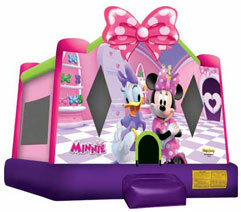 Here you'll find a large selection in sizes, colors, themes as well as, your favorite character bouncers. 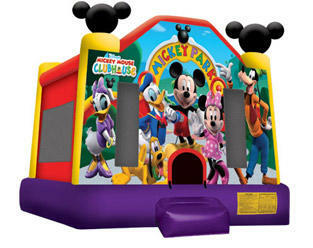 At Allin1Fun Party Rentals our Davenport customers get more value with our Combo Bouncer rental units. 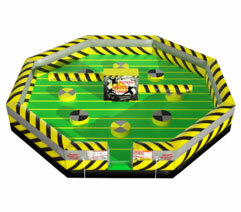 Combo Bouncers get their name from being a combination of the popular bounce house with other exciting elements. Don't forget the fun food! Adding a concession rental to your party reservation can change your party from drab to fab with one of our popular concession machines. 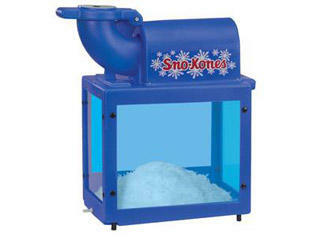 Sno-cones, cotton candy, Allin1Fun.net has it all. Needing table and chair rental in the Quad Cities? We have those too. 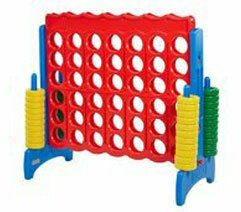 Interactive games are a great way to add an element of skill, chance, and fun to any party or event. 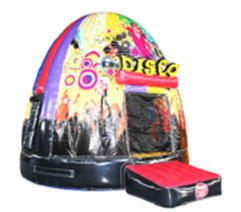 Here you'll find inflatable skill games and interactives that allow you to create your own carnival midway. Everyone likes to save money whenever possible, and at All In1 Fun, we like to provide our customers with the best value. 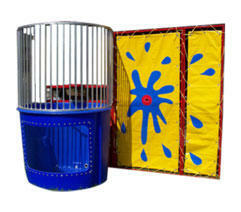 We've created a special category just for giving you the best in an Allin1Fun package deal!